Hawaii Prince Golf Club designed by Arnold Palmer and Ed Seay offers 27 dramatic holes, the only golf course of its kind in Hawaii. Three interchangeable nines create a variety of playing conditions for all skill levels. Situated on Oahu's sunny Ewa Plain, the golf course boasts 270 acres of sheer beauty and offers stunning views of the rain-carved Waianae Mountains. 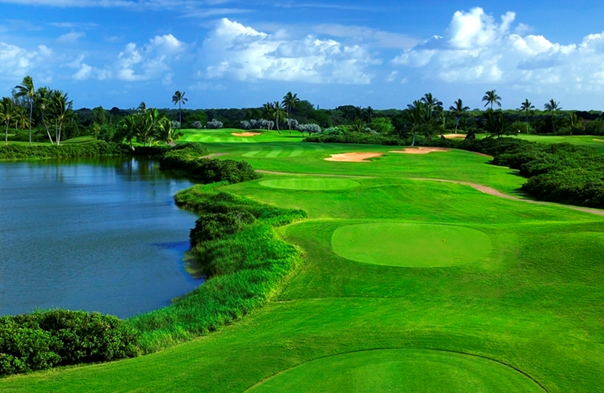 Long verdant fairways are lined with numerous white sand bunkers and 10 strategically placed lakes. 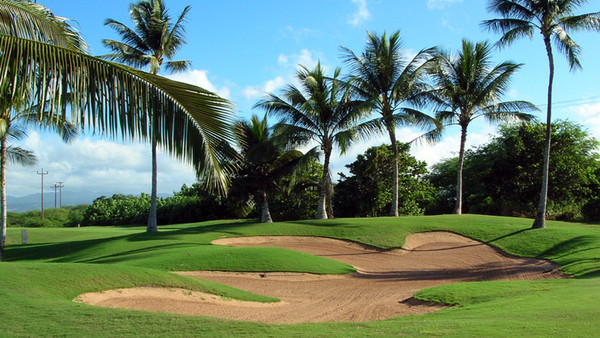 Join us for challenging play on this unique Oahu golf course and experience unparalleled golf at its finest or invest in your game with lessons from our friendly and experienced golf professionals. 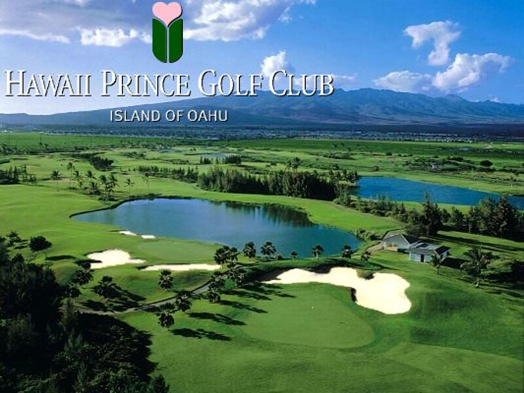 Hawaii Prince Golf Club's three interchangeable nines create a variety of playing experiences for all skill levels. The long verdant fairways of the golf courses are lined with 90 white sand bunkers and 10 picturesque lakes that protect 27 manicured greens, making for a memorable Waikiki golf vacation. All hotel rooms are oceanfront with floor-to-ceiling windows that feature breathtaking views of the Pacific Ocean and Yacht Harbor. Recently refreshed, these luxury accommodations in Hawaii reflect an island sense of place with island inspired weaves, textures and motifs with a contemporary twist, specially designed bed décor, Hawaiian kapa patterned carpeting, artwork featuring local artists and new furnishings. Elevate your stay at this Waikiki luxury hotel with extra amenities and privileges to the exclusive Ilima Club Lounge. 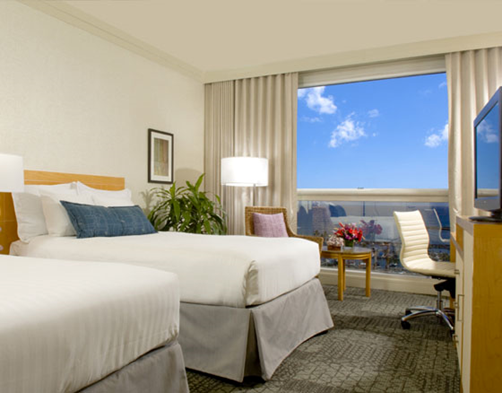 This beach hotel in Oahu offers discerning guests an extra measure of comfort and service with upgraded rooms exclusively on the 31st floor of both hotel towers, including access to a private executive lounge. Complimentary afternoon light snacks and non-alcoholic beverages during the afternoon hours of operation. We are proud to offer our signature "Prince Pleasures" service to every guest at Hawaii Prince Hotel Waikiki. 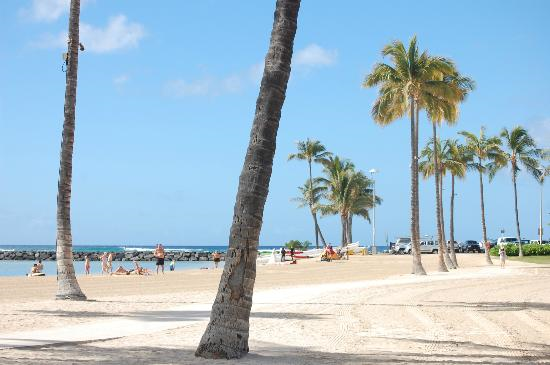 It is our commitment and promise to provide you with the vacation of your dreams. Unwind from a hectic day of business or after a long day of shopping at Yamano DaySpa & Beauty, located in the lobby of Hawaii Prince Hotel Waikiki. Yamano DaySpa & Beauty are the specialists in AESTHETICS... the concept of combining modern salon and the latest Japanese technique to create total beauty. Originated by Aiko Yamano, this relaxation technique offers benefits to both men and women in a full range of salon and spa services. 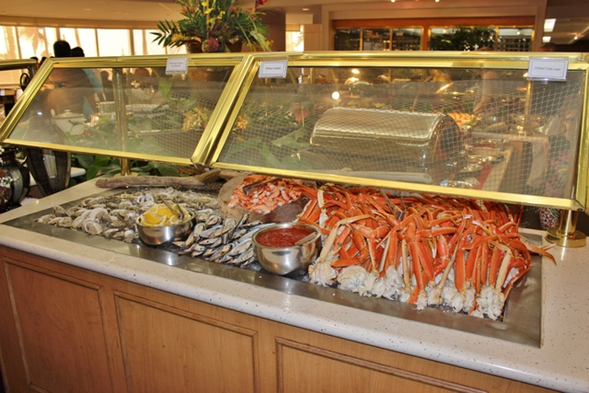 At Hawaii Prince Hotel Waikiki and Golf Club, tantalizing cuisine is our passion. Guests have a choice of several Waikiki award-winning restaurants, each also favored by the local clientele. Famed for Contemporary Island Cuisine, the Prince Court is a subtle blend of the classic culinary techniques of East and West, prepared with fresh island produce from land and sea. Spectacular views of Ala Wai Yacht Harbor and the island's beautiful sunset are a focal point from the restaurant's glass walls. Enjoy authentic Japanese cuisine at Hakone Restaurant featuring traditional complete dinner selections and a wide variety of sushi specialties. Hakone is located on the 3rd floor. Resort/business attire requested. Located at the Hawaii Prince Golf Club, The Bird of Paradise Restaurant offers casual resort dining with lunch and pupu (appetizer) service. 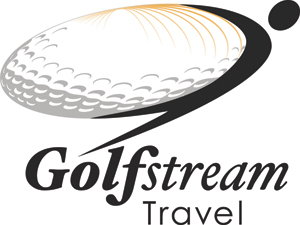 Golfers, as well as the general public, will be pleased with the menu variety and generous portions. The Reef Lounge at the Hawaii Prince Hotel Waikiki and Golf Club is Waikiki's newest contemporary lounge. It's the perfect place to savor your favorite cocktail, fashionable martini, perfect glass of wine or just to relax in the soothing atmosphere. The lounge offers a fusion of Island style pupus. It's Football season and Reef Lounge is proud to feature all University of Hawaii games this season. Come on down this Saturday and cheer on the Bow's with ono grinds and a cold one. Check out the game schedule here. Now opening every Sunday at 7:00am, featuring a special breakfast menu. Stay for game 2 and enjoy lunch specials with $6 draft beer all day. Featuring an expanded menu selection including grab and go items, guests are treated to freshly baked pastries, specialty coffees, steel-cut oatmeal, panini, sushi, salads and desserts. Made-in-Hawaii gift items, mac nuts, gourmet chocolates, tea or specialty cakes are available for guests looking for that special omiyage or gift. 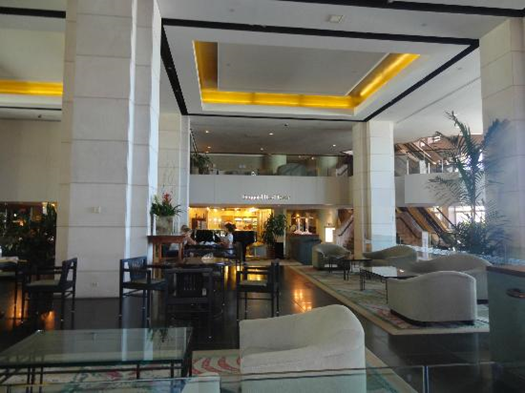 Hawaii Prince Hotel Waikiki is a bold achievement in architectural design. The Honolulu, Hawaii resort presents spectacular all-oceanfront accommodations and world-class service at one of the most desirable and convenient locations in Waikiki. Twenty-eight floors of oceanfront guest rooms sit atop a five-story base containing restaurants, open-air lounge, meeting rooms, banquet facilities, lobby, shops, guest services and ample parking. Guests at this Oahu, Hawaii hotel can enjoy the graciousness of our unique Aloha spirit while they marvel at the spectacular floor-to-ceiling ocean view. Business travelers appreciate the convenient location to Honolulu's commercial districts, entertainment opportunities and proximity to dining options. The Honolulu hotel's exceptional Hawaii Regional and authentic Japanese cuisine and its special events calendar make it a gathering place for visitors from all over the world, as well as the local community.